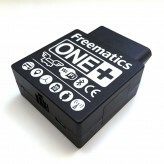 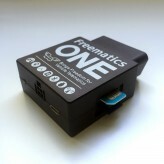 Freematics ONE is an Arduino compatible vehicle telematics prototyping platform, in form of a OBD-II..
Freematics ONE+ is our most powerful Arduino programmable vehicle telematics prototyping platform, i..
Freematics ONE+ Model B is a variant of Freematics ONE+ with integrated 4G LTE cellular module and 1..
Freematics OBD-II Emulator is a vehicle OBD-II port emulating device in a 12x8x3cm enclosure with a ..
Freematics OBD-II Emulator MK2 is world’s smallest OBD-II emulator with KWP2000, ISO9141 and CAN bus.. 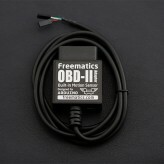 This product works as a data bridge between a car’s OBD port and Arduino (or similar hardware) with .. 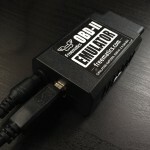 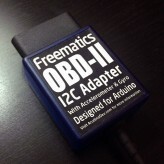 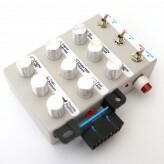 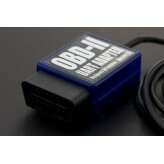 This product works as a vehicle OBD-II data bridge for Arduino with open-source Arduino library.. This product works as a vehicle OBD-II data bridge for Arduino, providing OBD-II data access with Ar..